With noted scandal-causer Scott Pruitt out at the Environmental Protection Agency and his replacement, former fossil fuel lobbyist and now-acting administrator Andrew Wheeler in, Donald Trump’s White House has reportedly moved to purge what remains of Pruitt’s cabal of cronies. According to the Daily Beast, multiple sources confirmed that three top staffers favored by Pruitt have been forced out of the agency, with one with a taste for the dramatic describing it as a “purge.” The removals were reportedly orchestrated by chief of staff John Kelly, who the New York Times previously wrote had ineffectually urged the president to get rid of Pruitt for months before his forced resignation, and allegedly was the one who informed Pruitt of said forced resignation. At least one of the axed Pruitt aides, spokesman Lincoln Ferguson, had planned to leave the EPA prior to Pruitt’s departure. But the White House Presidential Personnel Office, overseen by senior Trump aide Johnny DeStefano, expedited his resignation. 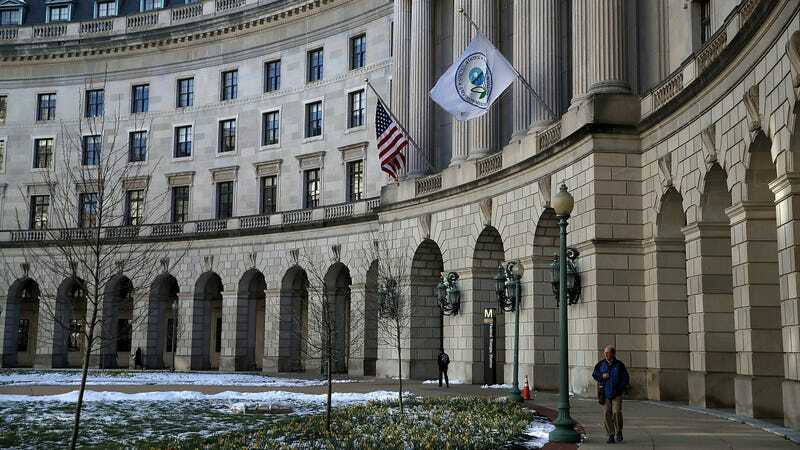 Senior EPA communications adviser Jahan Wilcox, who frequently clashed with the press and served as a top enforcer for his chronically embattled former boss, was also asked to tender his resignation at PPO’s request. Hayley Ford, the EPA’s deputy White House liaison, was also pushed out this month following Pruitt’s ouster. Pruitt himself was reportedly rather fond of purging staff who objected to his agenda or questioned things like his spending habits, so at least this time the bus-throwers are finding themselves on the wrong end of the bus. Previous reporting by the Washington Post had emphasized how bad things had become for comms and press relations staff at the EPA under Pruitt’s tenure—not limited to just hostile responses to questions but allegations they were actively attempting to impede reporters from doing their jobs. Liz Bowman, the top public affairs official responsible for such nice things as smearing journalists who published embarrassing stories about the EPA’s handling of Hurricane Harvey cleanup in Houston, resigned last month. But the new boss, Wheeler, intends to execute largely the same agenda as Pruitt. That means undermining or watering down the Clean Power Plan, making sure the Clean Water Rule remains dead, stuffing the agency with industry-favored flacks while pushing out career staff, and generally avoiding the topic of climate change, just maybe doing it with less naked contempt for government. Wheeler’s EPA has already gutted coal ash regulations. It is also reportedly planning to go to war with California over the state’s plan to raise auto fuel efficiency and emissions standards, setting the stage for a high-profile fight likely to overshadow whatever change in tone the White House is trying to pull off.